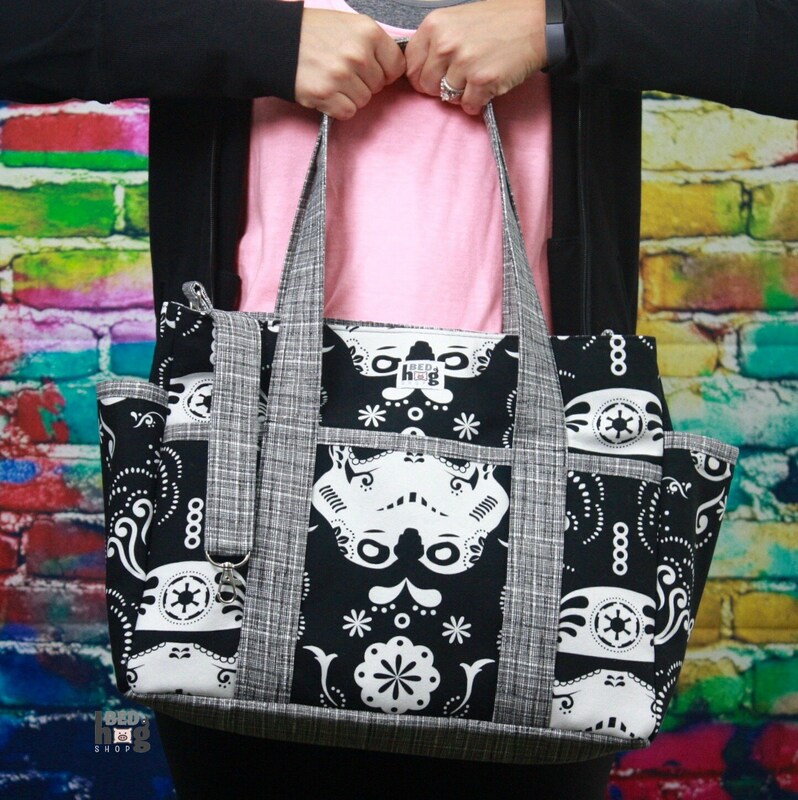 This bag's features include 6 interior slip pockets, two elastic straps on the interior sides, one key fob that can hang on the interior or exterior, two sets of side snaps that allow the bag to expand to hold more, and 8 exterior pockets. 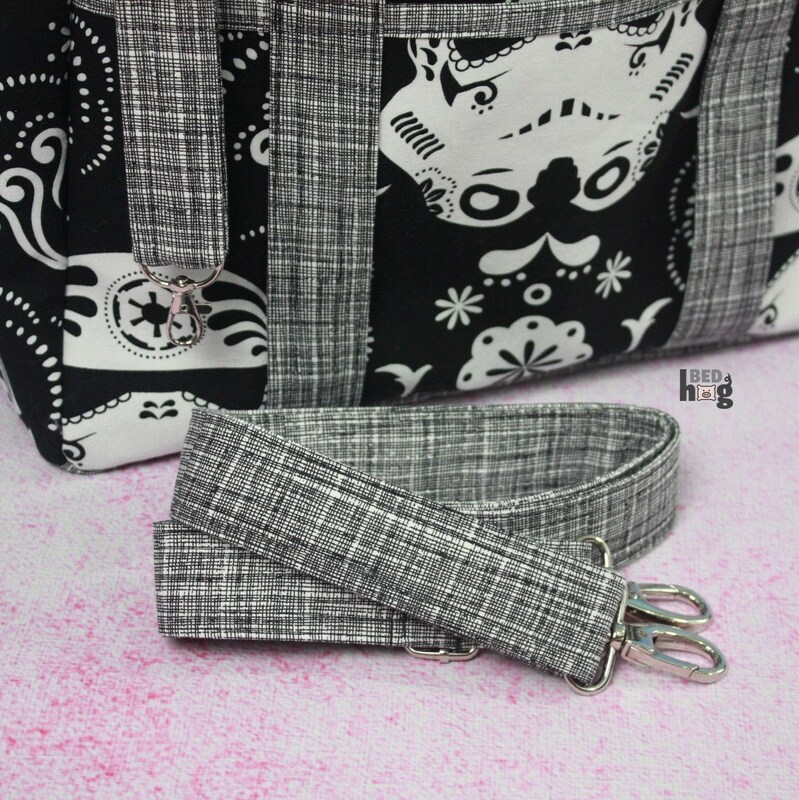 Removable adjustable cross body strap. 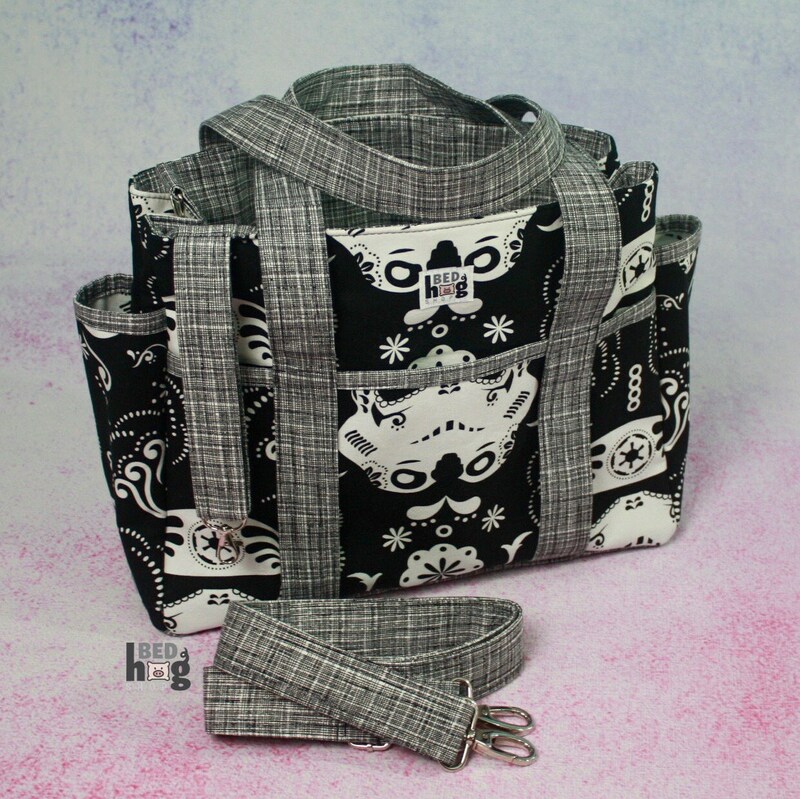 Finished Dimensions are approximately 14" W across the top with snaps closed, 19" with snaps open x 10" H x 5" D. Tote handles have an approximate 9" drop. 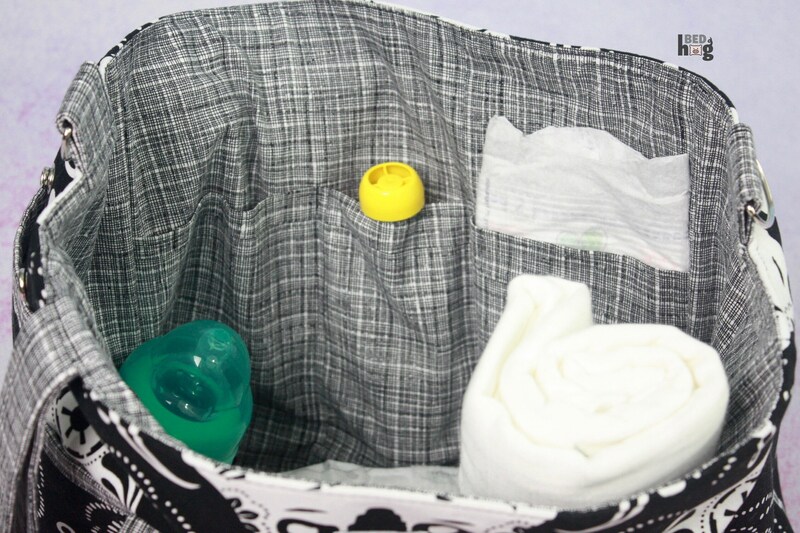 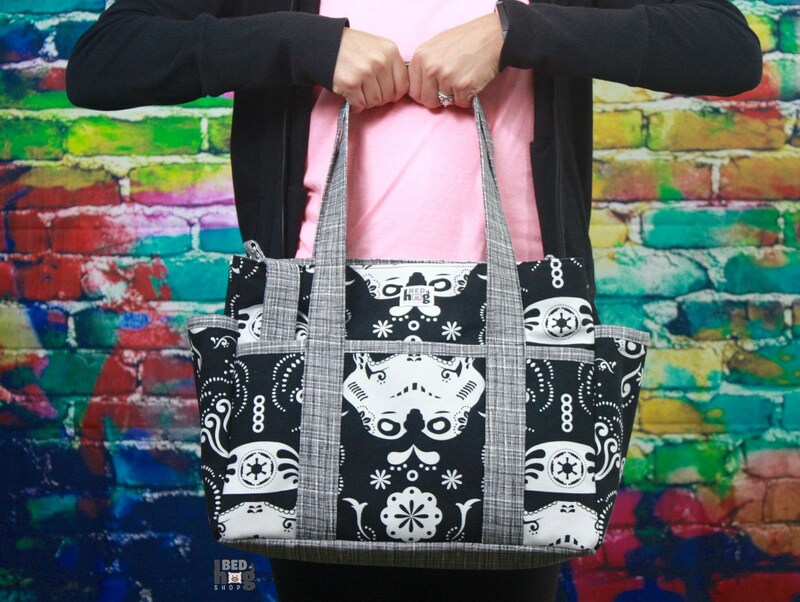 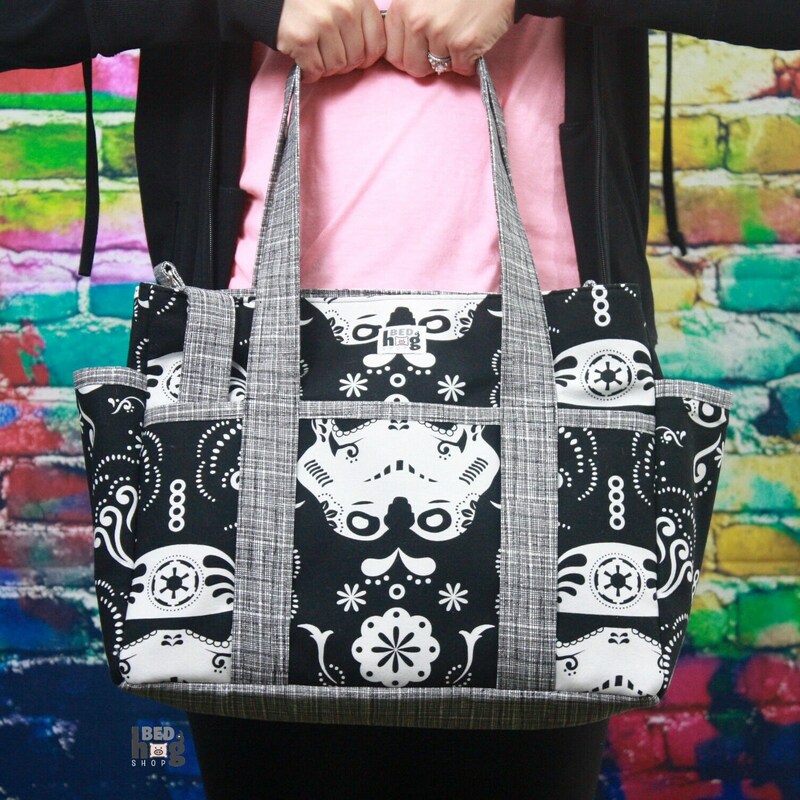 Ultimate Diaper Bag Sewing Pattern by Watermelon Wishes.